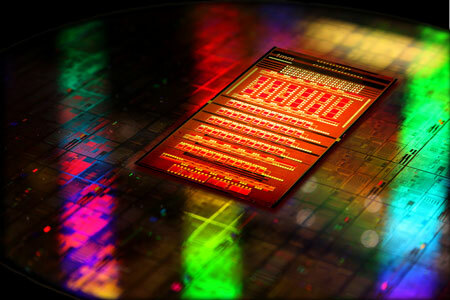 Researchers attach silicon photonic chips directly onto a processor package promising a faster, cheaper and lower energy future for computing systems, including cloud data centers. 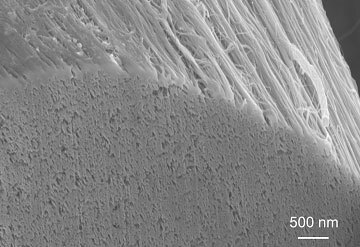 The scientists conducted research to probe nanoscale properties and mechanisms of lubricant films and ultimately uncovered the molecular mechanisms behind a common anti-wear additive. Engineers invent nanoscale integrated circuit that enables simultaneous transmission and reception at the same frequency in a wireless radio. Researchers have succeeded in imaging structural dynamics of living neurons with an unprecedented spatial resolution. The National Nanotechnology Initiative today published the proceedings of a technical interchange meeting on 'Realizing the Promise of Carbon Nanotubes: Challenges, Opportunities, and the Pathway to Commercialization'. 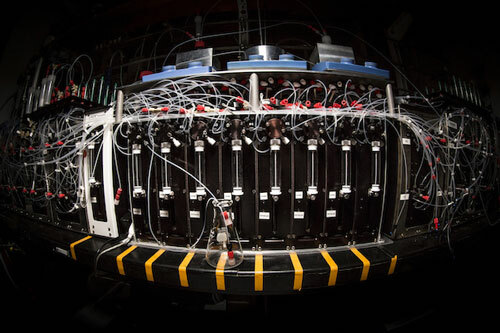 Scientists have simplified the chemical synthesis of small molecules, eliminating a major bottleneck that limits the exploration of a class of compounds offering tremendous potential for medicine and technology. 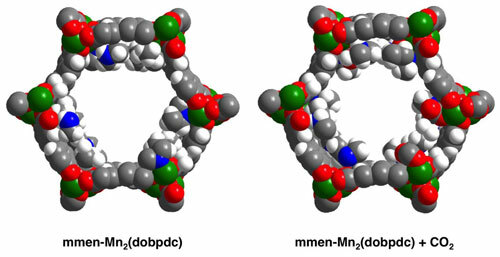 Researchers have shown that the crystal lattice of calcium carbonate can be altered using just a single protein species. Years of research satisfy a graduate student's curiosity about the molecular minuet he observed among drops of ordinary food coloring. 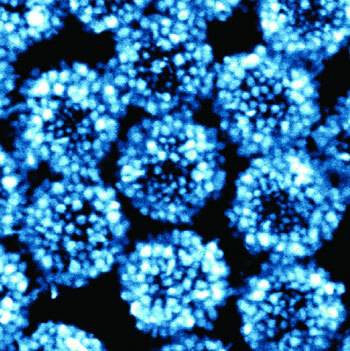 Gold nanoparticles enable precise stimulation of normal, non-genetically modified neurons with light. 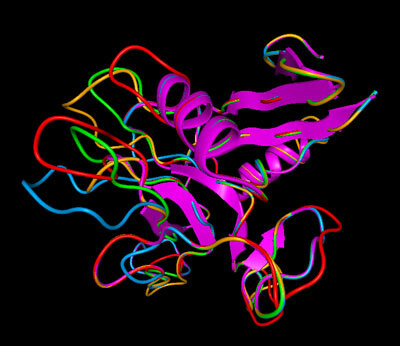 Phonsi is a consortium combining research institutes, IBM and a startup (Single Quantum) with world leading expertise in synthesis, characterization and integration of these nanocrystals. 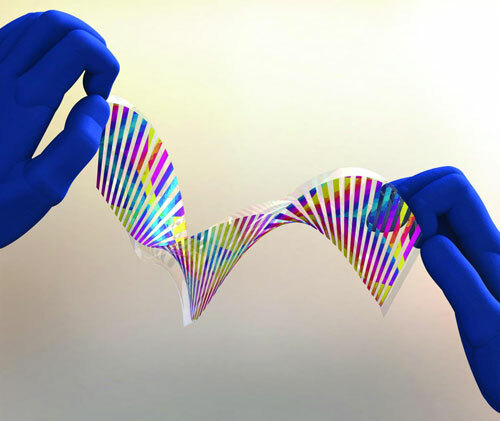 Borrowing a trick from nature, engineers have created an incredibly thin, chameleon-like material that can be made to change color - on demand - by simply applying a minute amount of force. 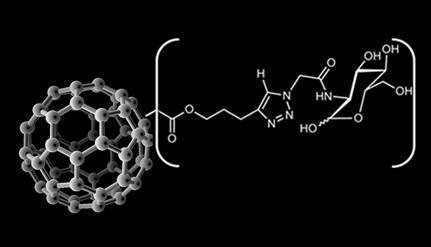 Materials resulting from chemical bonding of glucosamine, a type of sugar, with fullerenes, kind of nanoparticles known as buckyballs, might help to reduce cell damage and inflammation occurring after stroke. 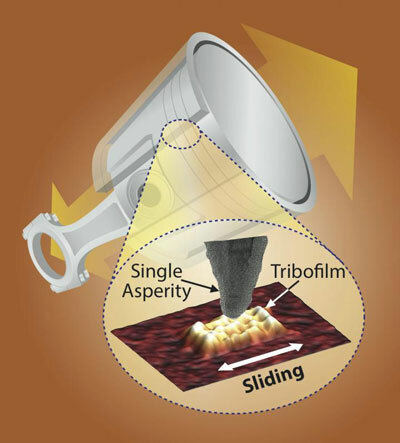 Researchers have devised a way of mass-producing metamaterials that exhibit magnetic resonance in optical frequencies. Called 'raspberry-like metamolecules' due to their unique shape, these nanoscale structures could be used as building blocks for metamaterials that could scatter light as if they had magnetic properties, which could be relevant to applications in optical processing and signal handling. Dunkin' Donuts ditches nano titanium dioxide - but is it actually harmful? In response to pressure from the advocacy group As You Sow, Dunkin' Brands has announced that it will be removing allegedly 'nano' titanium dioxide from Dunkin' Donuts' powdered sugar donuts. Chemists have made a major leap forward in carbon-capture technology with a material that can efficiently remove carbon from the ambient air of a submarine as readily as from the polluted emissions of a coal-fired power plant. 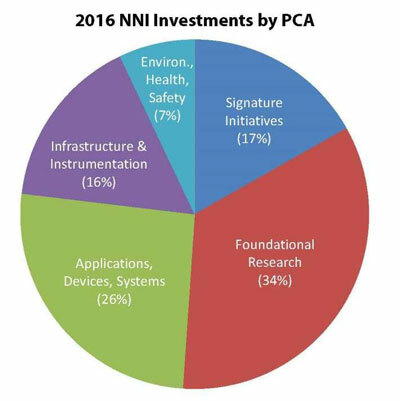 Cumulatively totaling more than $22 billion since the inception of the NNI in 2001, this funding reflects nanotechnology's potential to significantly improve our fundamental understanding and control of matter at the nanoscale and to translate that knowledge into solutions for critical national needs.